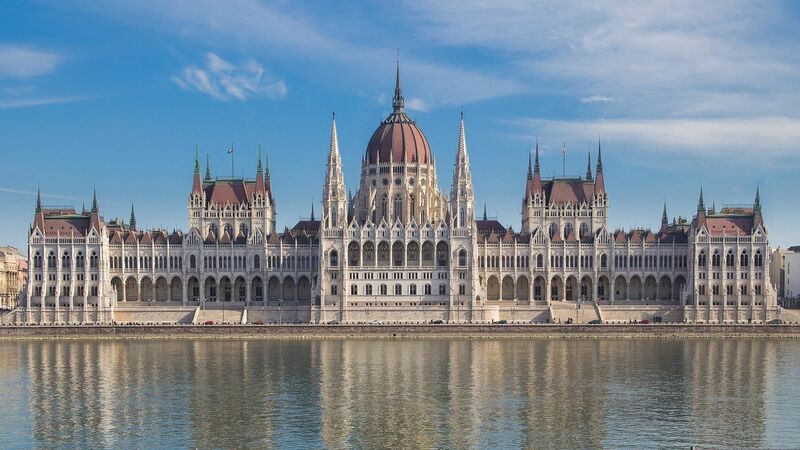 Are you visiting Budapest, and would like to take great photos? 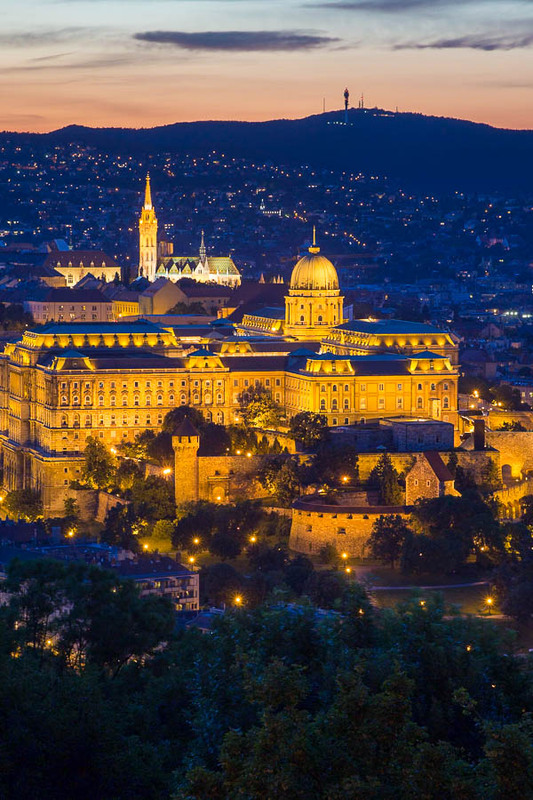 Budapest is a big city with tons of great photo locations… But how do you cover most of the spots in one evening? And when you get to those places, how do you set your camera? 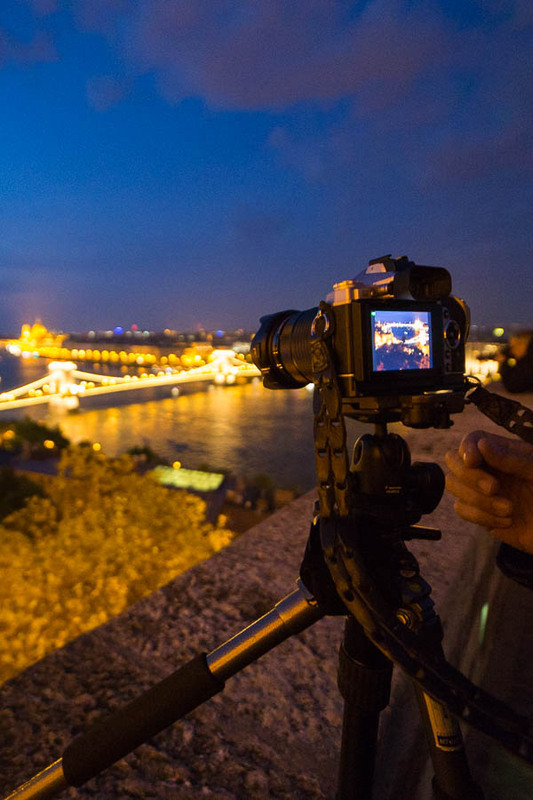 Hi, I’m Miklós Mayer, a hungarian landscape and timelapse photographer. With my local knowledge I can help you discover the best photo locations in ideal timing, so you can create postcard-like images. 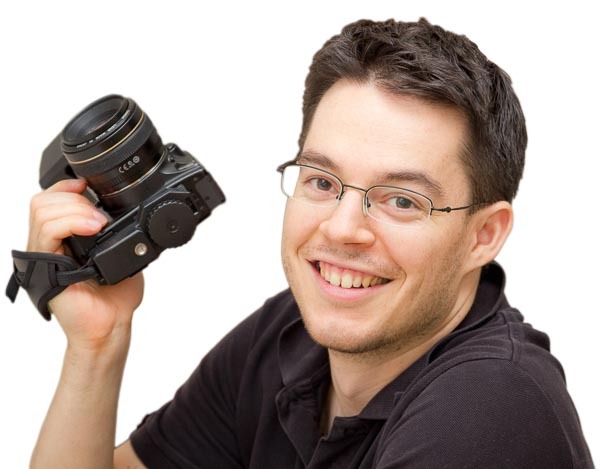 I’ve been doing night photography for years, so I can help you with all the settings (no matter what camera you have). You’ll see how easy it is to take cool nightscape pictures! Photographers are coming from all over the world: from California to Australia, from 20 years to 90 years old. Yes, even a 90 years old australian gentleman did the tour to accompany his wife who was shooting. Read the review of Tracie Howes from Seattle. Gauri from London was surprised by the many positive comments on her article of her trip to Budapest. 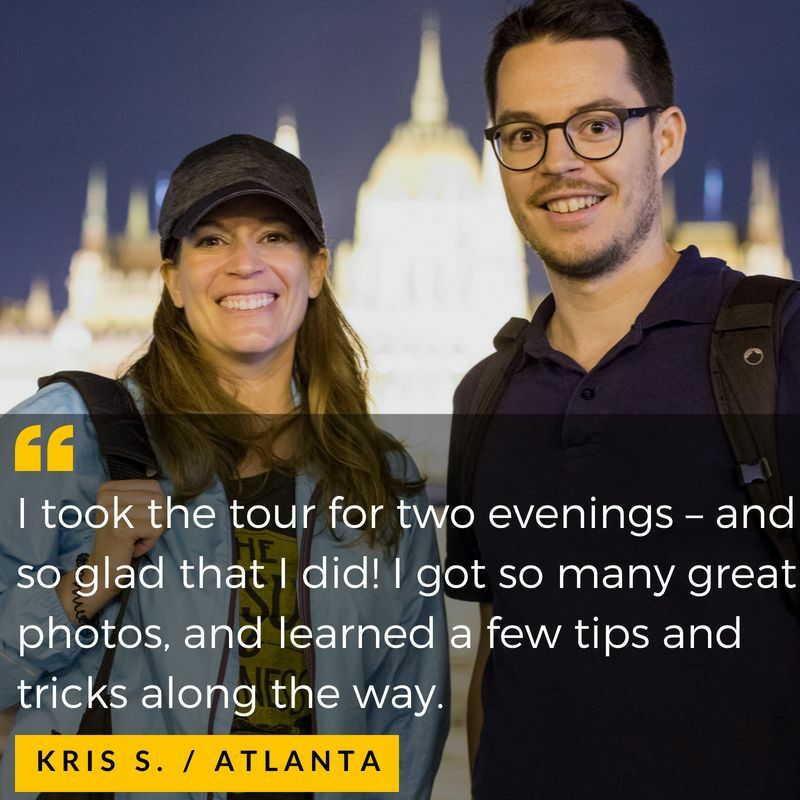 So what exactly are my photo tours like? 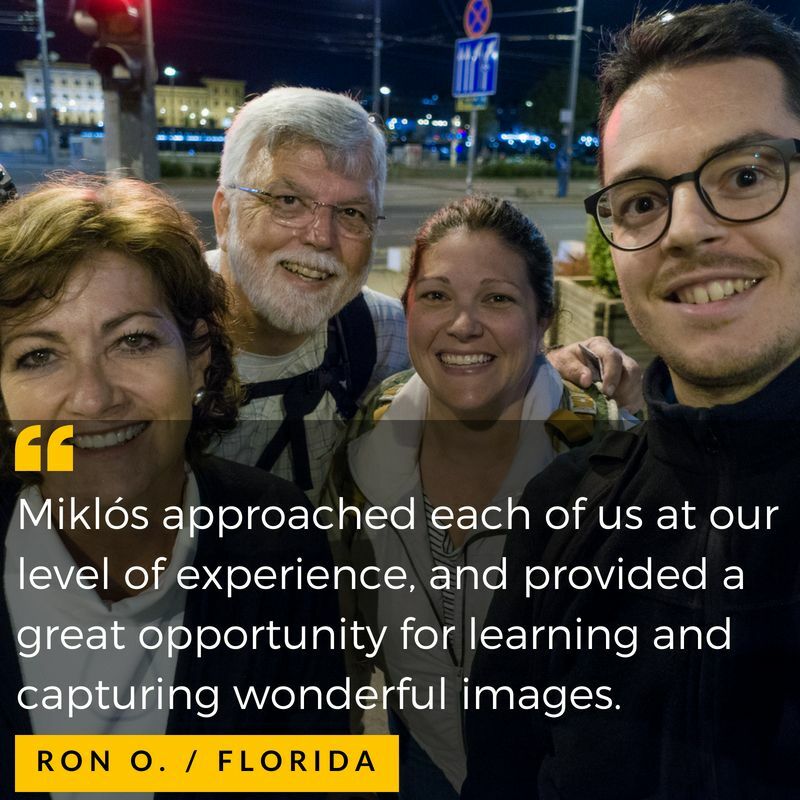 Miklos kindly agreed to meet near our accommodation as my wife and two children wanted to tag along for the photo tour. After introductions and preliminaries we caught a bus to the castle. It was still very busy there and quite bright but Miklos showed me several good vantage points where I got good ‘Golden Hour’ shots. 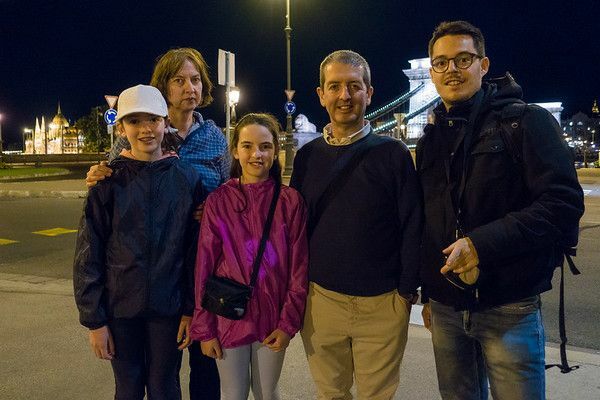 He was knowledgeable of Hungarian history so along with photographic advice he explained the historical significance of what I was photographing, which to me is important. When we finished at the Castle he organised taxis to take us to the citadel high above the city. There were many others there too taking photographs but again Miklos knew the best vantage points. It was getting quite dark at this point so we set up my camera on his very neat carbon fibre tripod and I got several nice shots of the bridges, river and Castle. 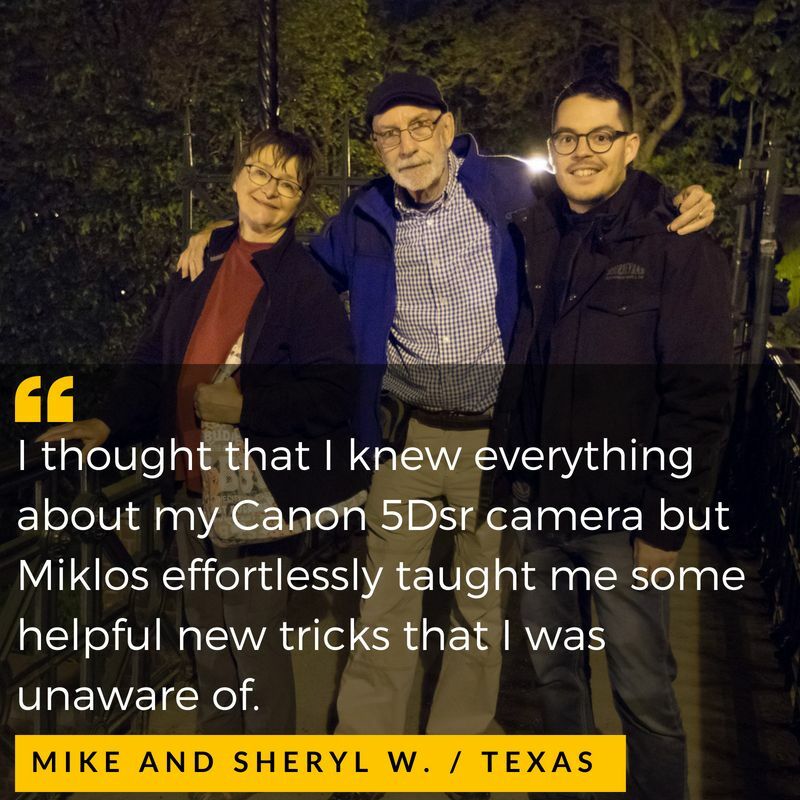 Miklos was very knowledgeable, both on photography and on the more obscure menu settings on my Canon EOS7DII. I had not used Live View much previously so he showed me how to use it to get the very sharp night shots. As Live View is hard on batteries he had even brought a spare Canon battery for me in case I needed it! We walked further up to the Liberty monument, which is truly spectacular and a great photo op. It was dark as we descended from the citadel to several more excellent vantage points that I would never have found on my own. 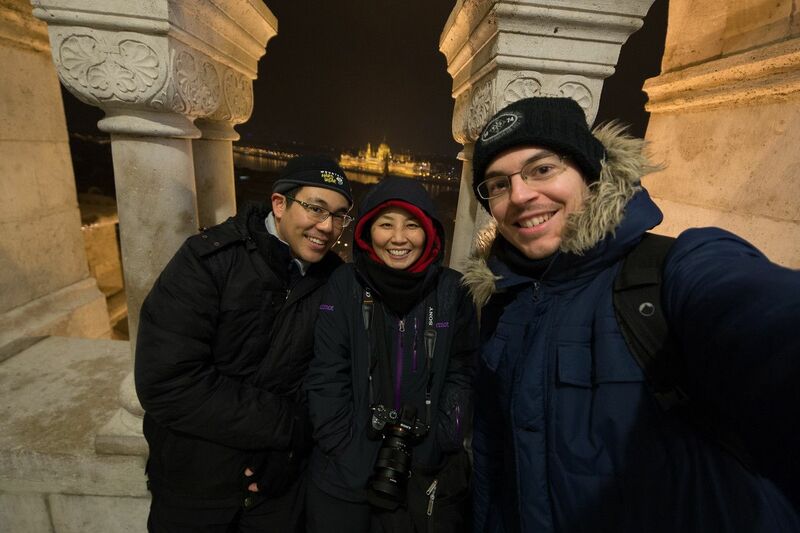 We then caught a tram back to the castle for some night shots of the Szechenyi Chain Bridge, Parliament and other city views. At the end of the tour we descended at the funicular. We chatted for a while and he offered to email me his Lightroom course on processing night photos, which he did along with a group photo of the five of us. He also emailed a list great photo locations and, even better, a list of good places to eat when out photographing them! Eventually, as the kids were tired, we called it a night and went our separate ways. 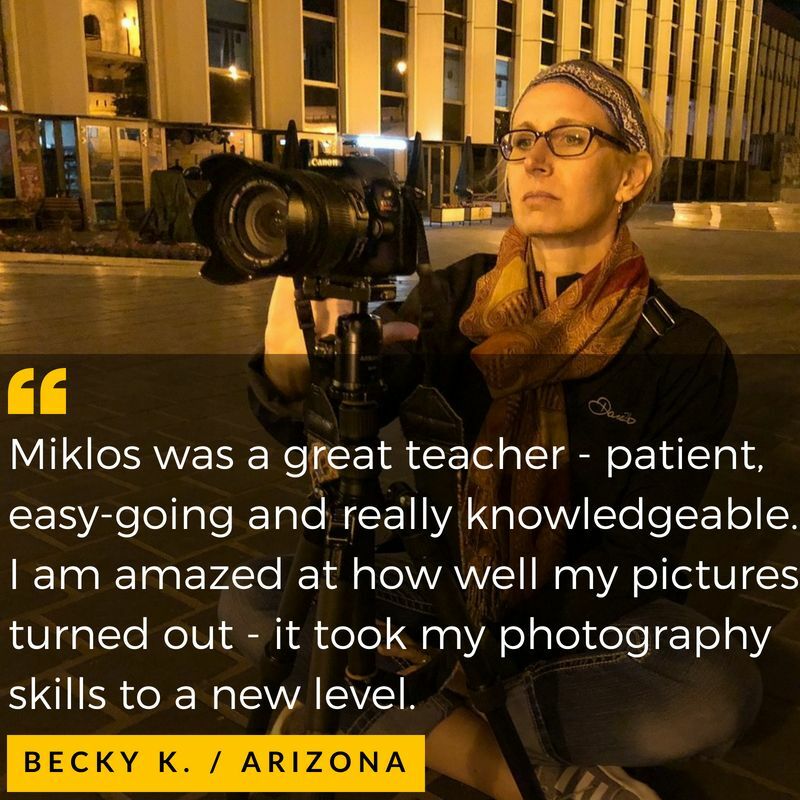 I learned a lot about night photography on this course and got to vantage points that I would never have found without Miklos. 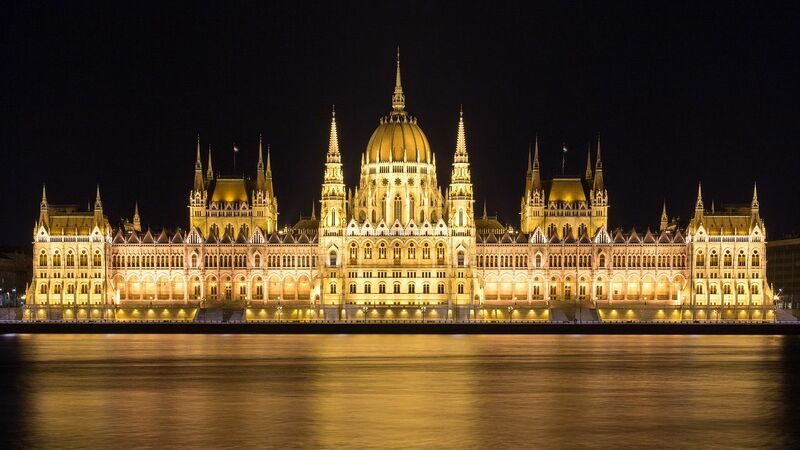 I now have a nice collection of sharp, well exposed and composed Budapest night photos. Although it was a photography tour I really appreciated the way he went out of his way to ensure that my children were not bored. I had a great night in very good company and my wife and children really enjoyed the tour too. I strongly recommend Miklos and Hungary Photo Tours. 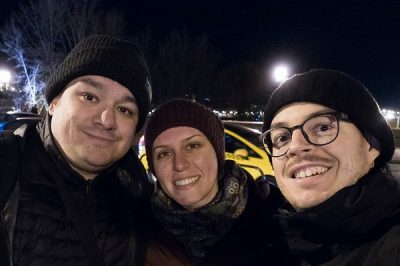 My wife and I spent an amazing night with Miklos in November 2018. We were actually supposed to meet him back in March, but our trip got cancelled at the last moment. When I emailed Miklos 8 months later, he remembered me and responded very quickly. We decided to meet in front of the Ritz Carlton Hotel, which is only a minute’s walk from the Deak Ferenc ter metro station. 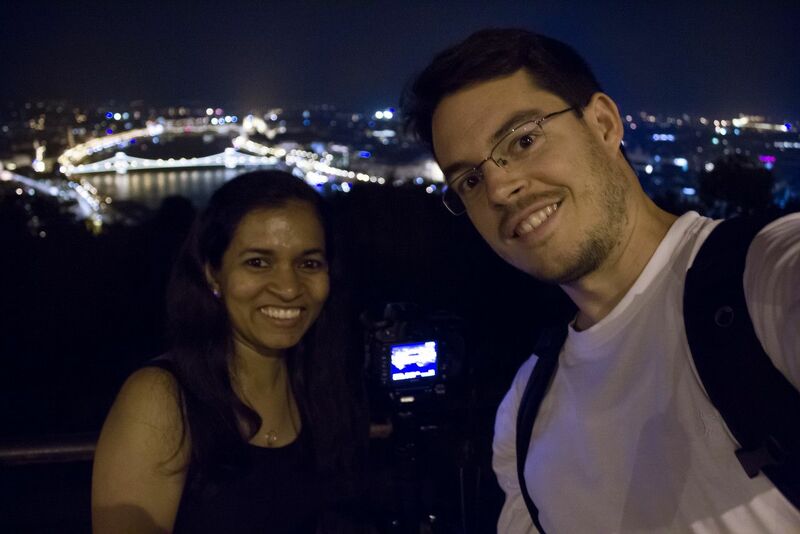 I had always wanted to do a blue-hour shoot at Gellert Hill and take a photo of the beautiful Buda Castle with the Chain Bridge and the Parliament Building in the background, and Miklos made sure we arrived at the best spot right before sunset. Although I’ve been taking photos for quite some time, he also helped me with live focusing and composition. I am now actually using his advice when I do blue-hour or night photography. 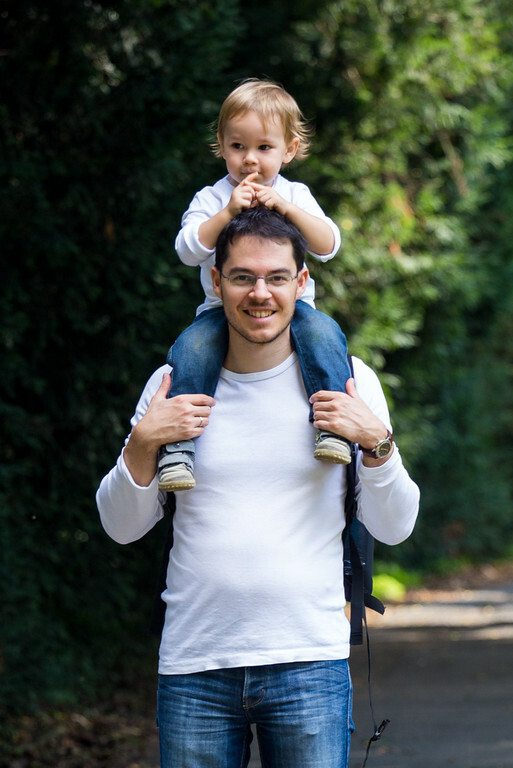 Miklos is an amazing person, very friendly, patient, and helpful. 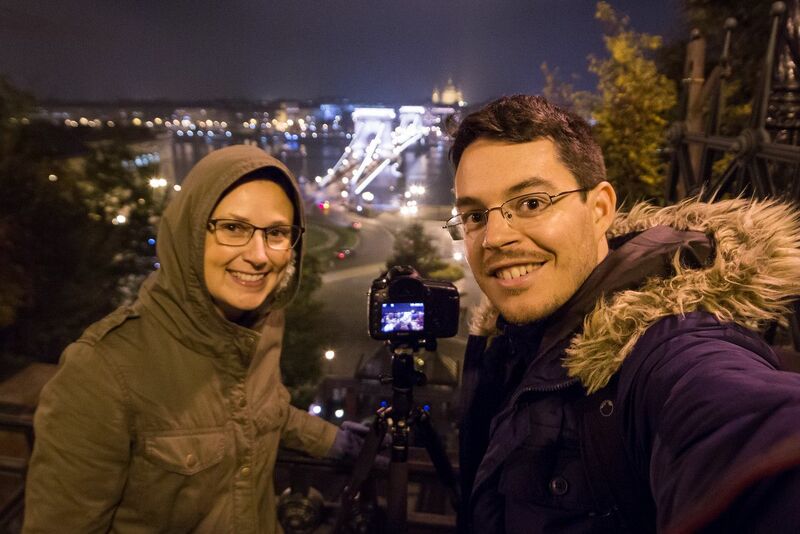 We talked about history (the Ottoman Empire in Hungary), food, culture, and other possible photo locations. 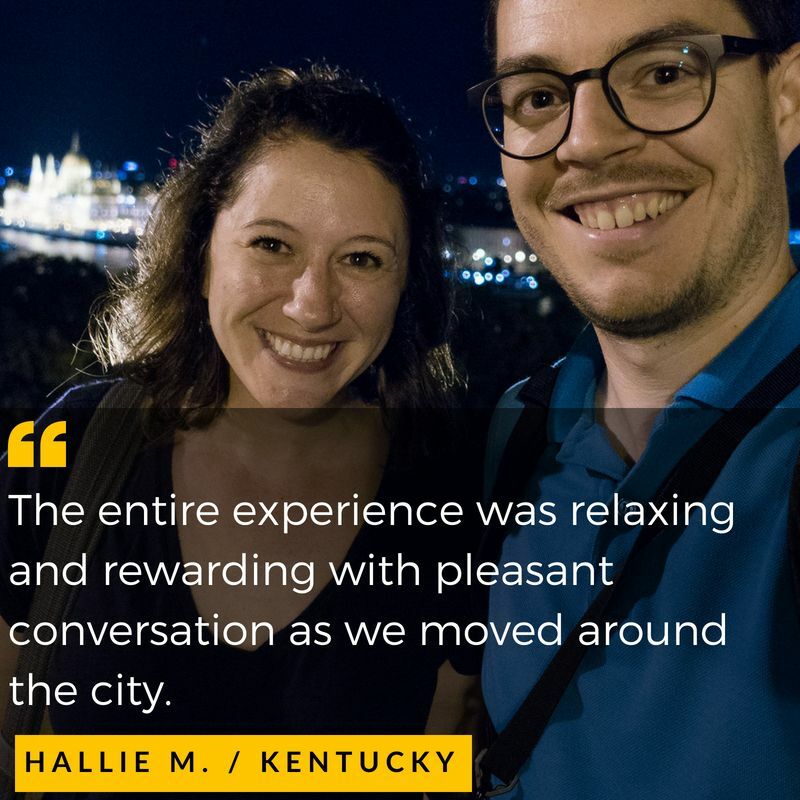 From Gellert Hill, we walked down and went to the Buda Castle, and Miklos showed us the best spots with amazing views of the Chain Bridge and the Parliament. The 3.5 hours went by so quickly and even though it was a cold night we had an amazing time. I would like to thank him for his restaurant recommendations, helpful photography advice, and prompt responses (he even responded to our queries the following day). I am enclosing a photo I took while I was on tour with him — you could take a similar shot and get to the best spots without having to worry about missing the lights. 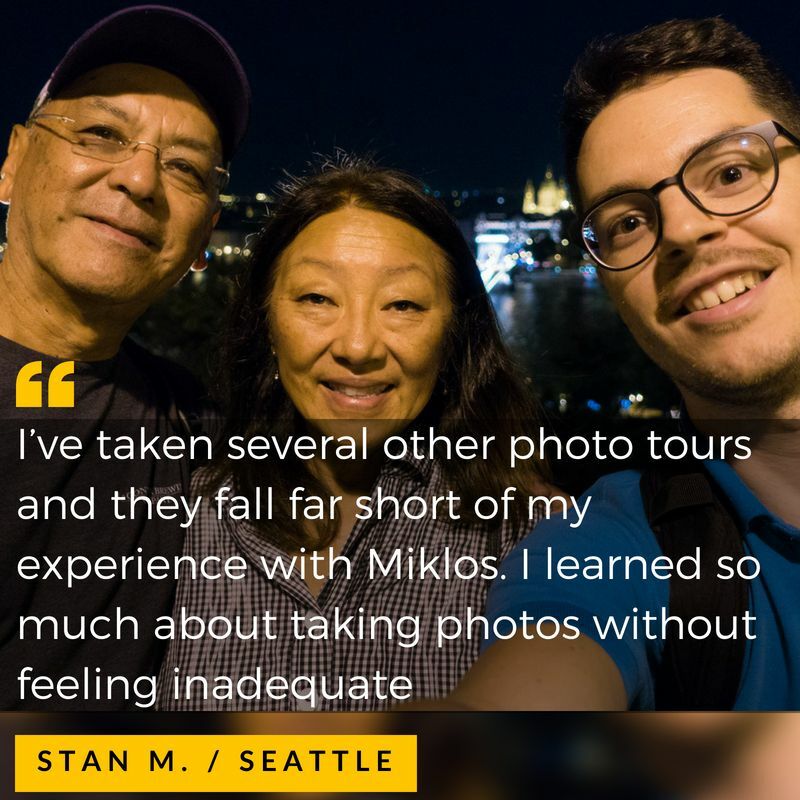 In short, a photo tour with Miklos is very highly recommended. Join me as we explore the best spots in town. This is tour is best when the sun is shining. I also recommend this if you don’t have enough time, but would like to capture hidden views of the city. Though always gorgeous, the city really shines at night. Illuminated only by the lamps, the scene is independent of the weather. This is definitely my favourite tour, and 99% of my guests choose this. I strongly recommend to choose the nighttime tour, the is just so much better looking at night! Have questions? Want to see some pictures?